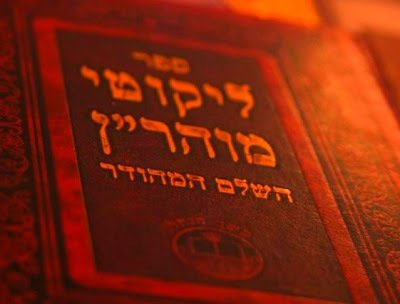 In lashon hakodesh it's usually printed in just one volume, unless it's printed with certain modern commentaries. i started to learn Likutey Moharan by listening to the shuiurim by Rav Nosson Miamon online and they are great. I can not explain how wonderful they really are. the problem i am having is since most of the torah's are long each one is made up of 5 or 6 shuiurim. i find that by the time i get to the later parts of the torah's i am burnt out and want to start a new one. any advise as how to keep my excitement and attentiveness throughout a very long torah. or maybe another way to successfully learn this sefer. it is a sefer i don't want to give up. any advise is helpful . Join me Thursday night for Rabbi Avraham Bloomenstiel's Likutey Moharan shiur here. are the shiurim available afterwards for download? if memory serves me correctly there is a introduction in the translated series by the breslov institute (R Kramer) that gives some advise as to a style of learning LM. i try to follow it, and i find it works well for me. if im off the mark, from the advice they give, please forgive me, but this still works for me. rush through the lesson, try to go over it very fast, and dont worry about the gritties. then go back over it. repeat! but each time, go through it more slowly and in depth. the annotations that R Kramer adds are INCREDIBLE, and they unlock the work. i will only start looking at the annotations and going in more depth after maybe my 4th or 5th run, depending on the length of the lesson. this way you get the general string off thought, all the concepts, and the equation on a macro level. after which you fill in the detail. i find nothing as gratifying as getting a lesson (sort of) under the belt. a bit like swallowing a beach ball. on a certain level, I'm still learning the first torah. the Tcherner Rav's Nachas Hashulchan- showing how torah 1 connects to every siman in shulchan aruch- makes that happen.